I shared a photo of this chocolate salted caramel cake on social media over the weekend and it caused a bit of excitement. It seems the combo of chocolate and salted caramel is one which appeals to a lot of people. Originally this recipe was created just to use up some leftover salted caramel sauce. Leftover sauce you say? Surely you could just eat that from the jar. Well yes but when you make a salted caramel ice cream for a business to be served alongside the homemade sauce and there is a little leftover there is no way you could possibly eat it every week. Even if you do have a very sweet tooth. 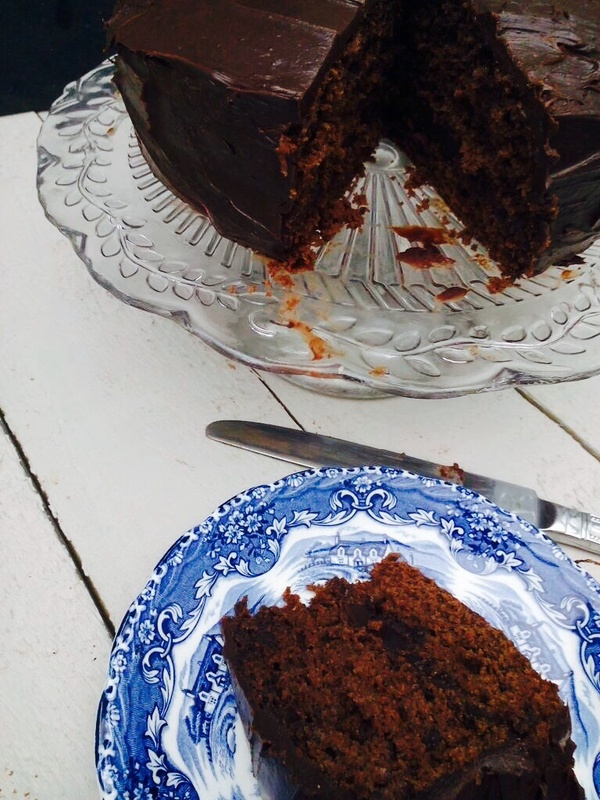 I love chocolate cake but I’m often left disappointed by the lack of flavour. This cake has two layers of chocolate sponge with salted caramel sauce soaked in, topped and filled with an indulgent dark chocolate ganache. It’s rich and luxurious. You really do only need a small slice so it serves quite a few people and drizzled with some warm salted caramel sauce it would make a great dinner party dessert. Grease and line two 20cm cake tins. Preheat your oven to 180c. before dividing between your cake tins and baking for approximately 20 mins. Keep a close eye, they are ready when the bounce back when a finger is pressed lightly on top. Place on a wire rack to cool slightly. Melt your butter, sugar and syrup together slowly in a pan until combined and molten ( don’t be tempted to dip a finger in ) remove from heat and add your cream, stir and return to heat for a minute or two. Add your salt ( 1/2 a spoon at a time – everyone’s taste is different ) and stir. Leave to cool before decanting into a jug or jar. 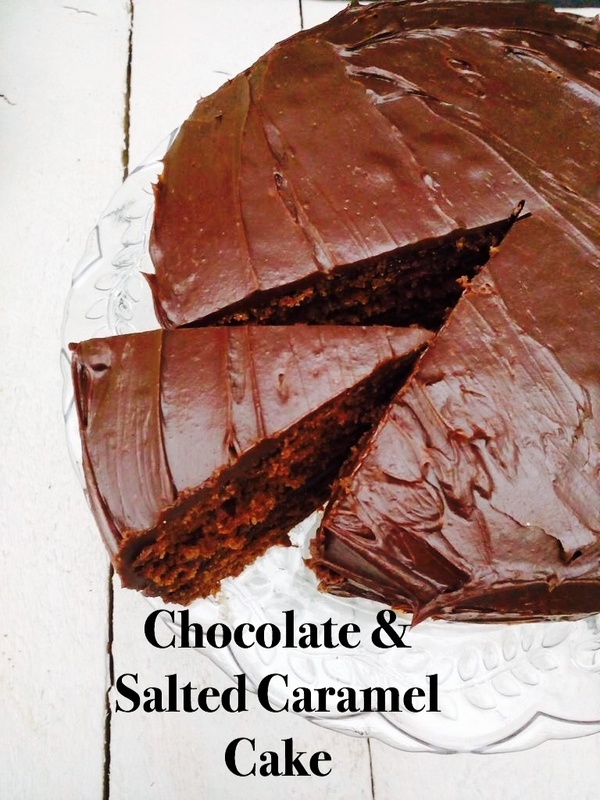 While your cake is still warm, pour half of your salted caramel over the two halves and leave to cool. This allows the caramel to sink in, getting the flavour deep inside the cake and keeping it moist. Put your chocolate into a glass bowl. 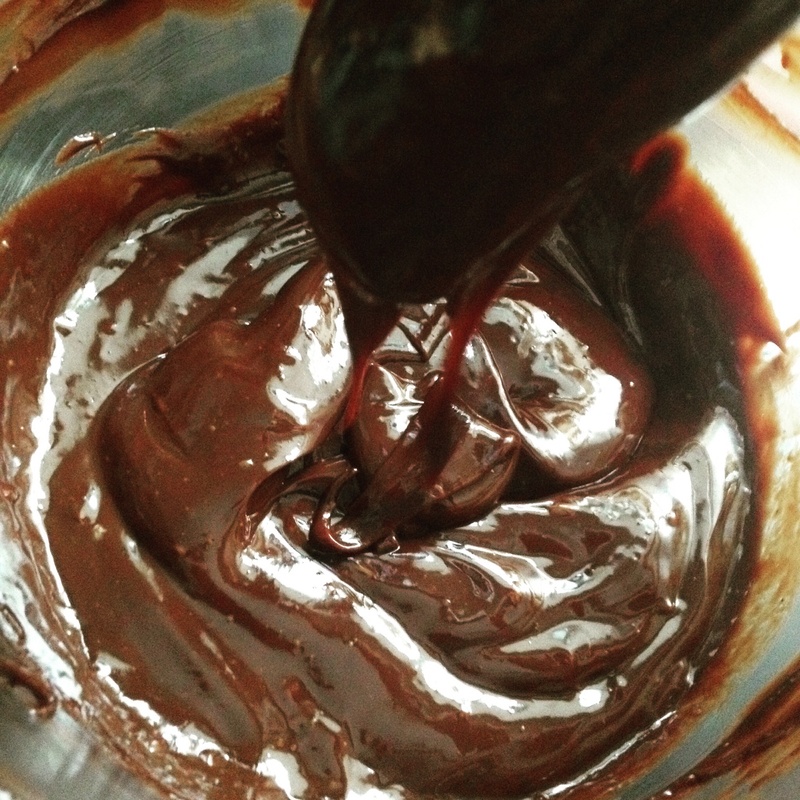 Slowly heat your cream in a heavy based saucepan until simmering but not boiling then pour over your chocolate and stir quickly until the chocolate had melted and you have a gooey, silken sauce. Leave to cool until thickened like frosting or buttercream icing. Use your remaining cooled salted caramel sauce to spread/pour over 1 half of the cake and use a third of the ganache to cover the other and sandwich together. 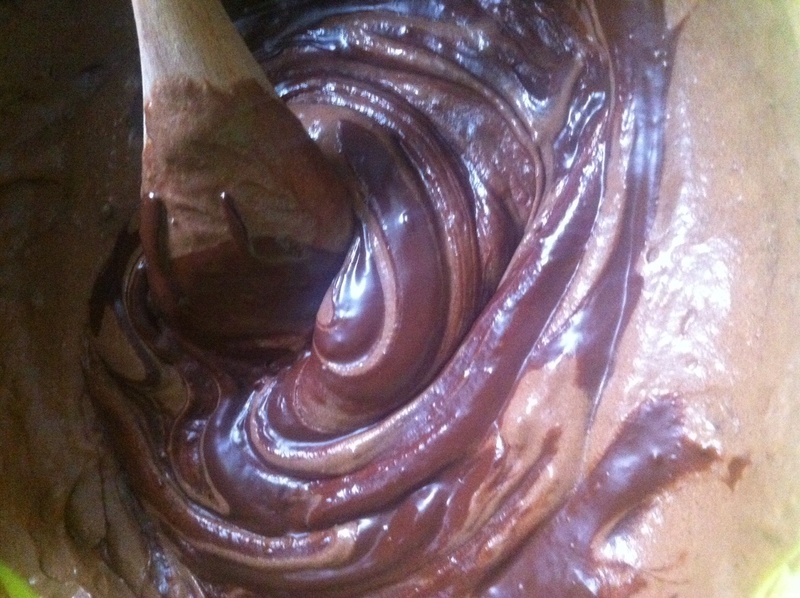 Use the remaining ganache to cover the sides and top. You can’t really go wrong here. You can make it look perfect but I quite like the effect when it’s just roughly covered with a spatula or knife. It just looks more appetising to me..plus it’s easier. It’s worth leaving the ganache to set a little more before diving in as it creates a fudgy coating which is just delicious. This is one recipe I can see me making again and again. 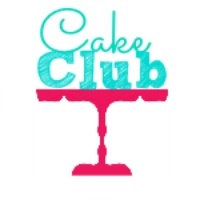 I’m linking up with Cake Club hosted by Kerry.